We implemented a wireless synchronization receiver using sub-8psec pulses. 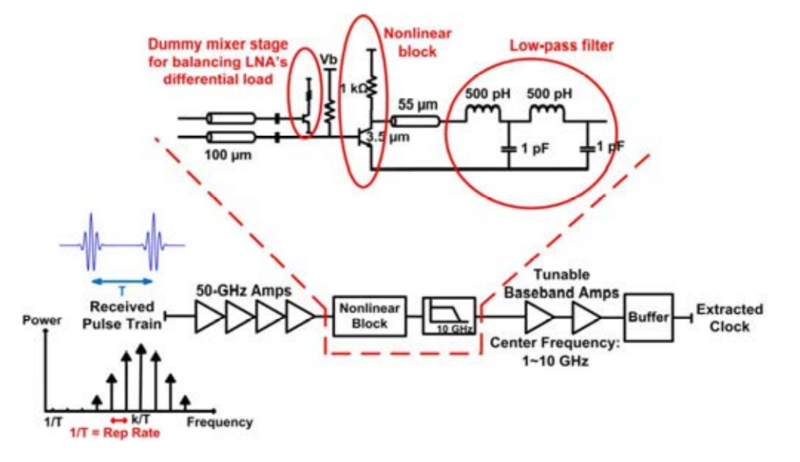 A novel self-mixing technique is introduced to detect low-power picosecond impulses and extract the repetition rate with a low timing jitter. The chip is fabricated in a 0.13μm SiGe BiCMOS process and achieves a time transfer accuracy of 376fsec. 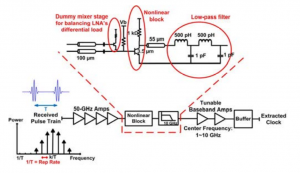 The receiver , which is integrated with a broadband on-chip antenna, successfully detects a picosecond pulse train with a 3.1GHz repetition rate and generates an output locked to this rate with a phase noise of -89 dBc/Hz at 100 Hz frequency offset. 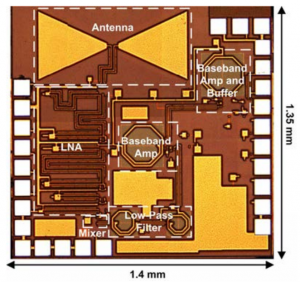 The chip consumes 146 mW from a 2.5V supply and occupies an area of 1.89mm^2. 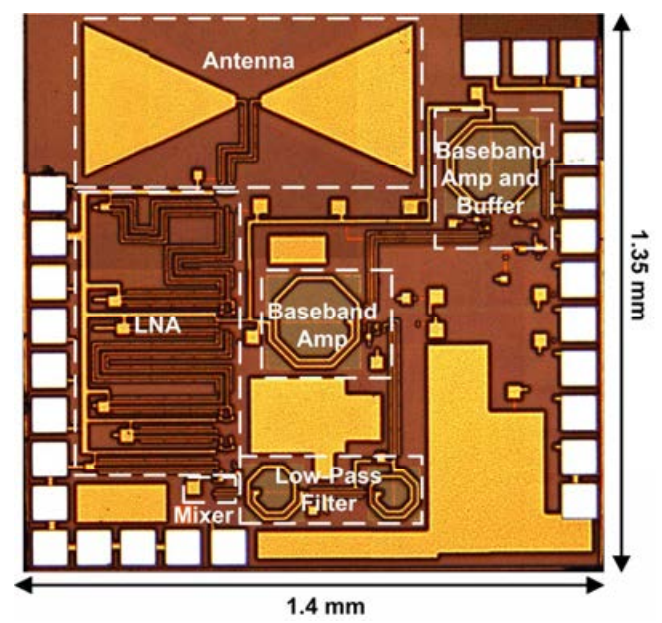 B. Jamali and A. Babakhani, “Sub-picosecond Wireless Synchronization Based on a Millimeter-Wave Impulse Receiver with an On-chip Antenna in 0.13um SiGe BiCMOS,” in IEEE MTT-S Int. Microwave Symposium, May 2016.